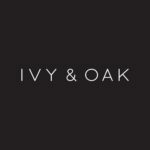 IVY & OAK is a Berlin-based direct-to-consumer fashion brand for women contemporary occasionwear launched in May 2016. Our mission is to combine the best that fashion has to offer: High-quality clothing that is not only inspiring and easy to wear but also affordable and made to last. IVY & OAK is one of the fastest growing European fashion labels selling through our own online shop, own retail store and various fashion platforms across the borders of Europe. Sounds exciting? What are you waiting for, we are looking forward to receiving your application!